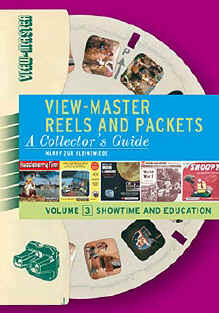 Now after years of waiting the much anticipated View-Master Reels and packets Volume 3 is available! 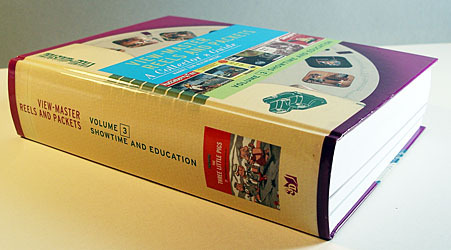 Hardbound, 960 pages including two full-color sections of 32 pages each on glossy paper: one section shows View-Master Products, and the other one is called "View-Master Advertising". The complete cover (front and back) is shown below. 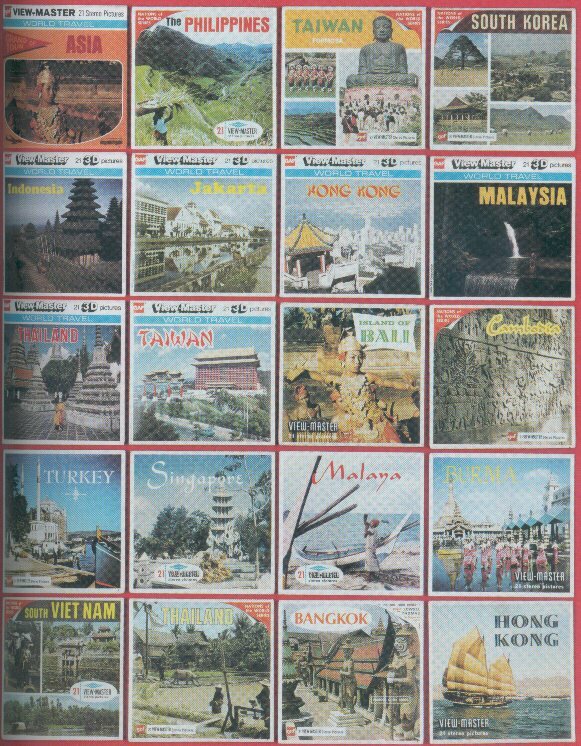 This collectors guide is an overview of almost all World Travel reels and packets that have been issued since 1939. It includes history, illustrations, reel list and many color and black and white illustrations. This is a must have for any Viewmaster collector, and a serious tome. It is hardbound and 238 pages. It is written by Harry Zur Kleinsmiede. 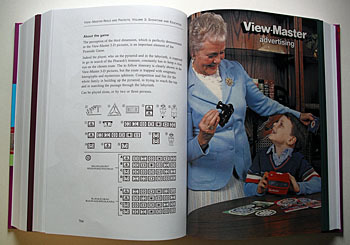 This is the 2nd volume of Harry zur Kleinsmiede's three-volume collector's guide to ViewMaster. (The 3rd volume is not yet released.) 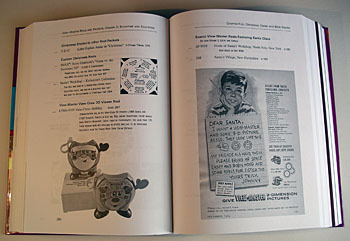 It is a historical overview of View-Master Reels and Packets since its introduction. 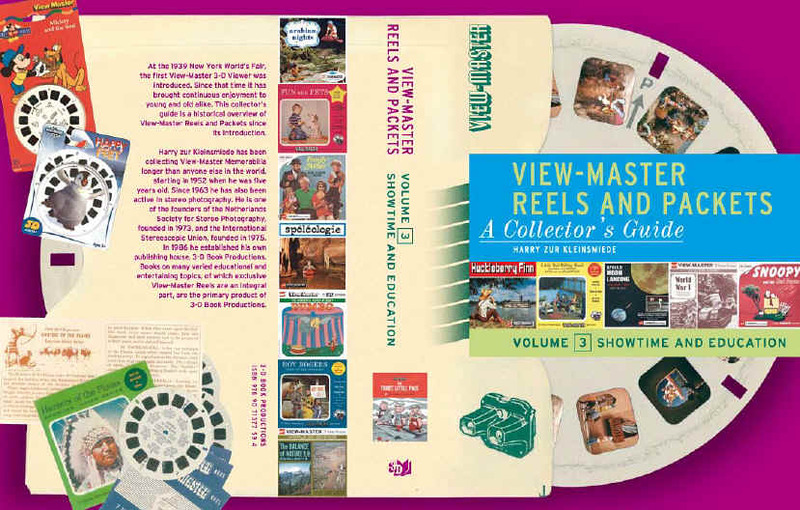 It is an absolute necessity for the View-Master collector in the world, written by Harry zur Kleinsmiede, who has been collecting View-Master Memorabilia longer than anyone else in the world, starting in 1952 when he was five years old. 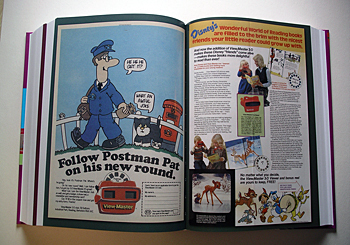 This second volume lists all the ViewMaster packets made of sites in the USA and Canada. 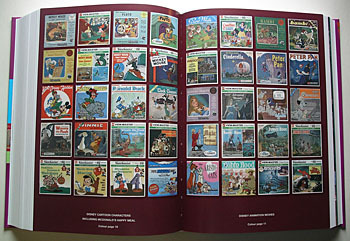 It also includes listings and contents of all North American Scenic reels and the reels made of Disney parks. This is an even larger book than the first volume and again a must have!